EDC Warren County President Ed Bartholomew announced that two qualifying census tracts within Warren County were nominated by the governor’s office to be included within the tax program known as Federal Opportunity Zones (FOZ) which was part of the US Tax Reform Act of 2017. EDC prepared materials required for nomination on behalf of the city of Glens Falls and the town of Johnsburg. The purpose of the FOZ program is to provide an added mechanism to encourage private investment into economically distressed areas through the use of tax incentives, he said. Bartholomew said one of the key advantages of the FOZ opportunity zones program is the ability of investors who make investments within these respective zones to have capital gain taxes eliminated if the investment is maintained for a minimum ten years. If the investment is maintained less than 10 years the capital gain is prorated. 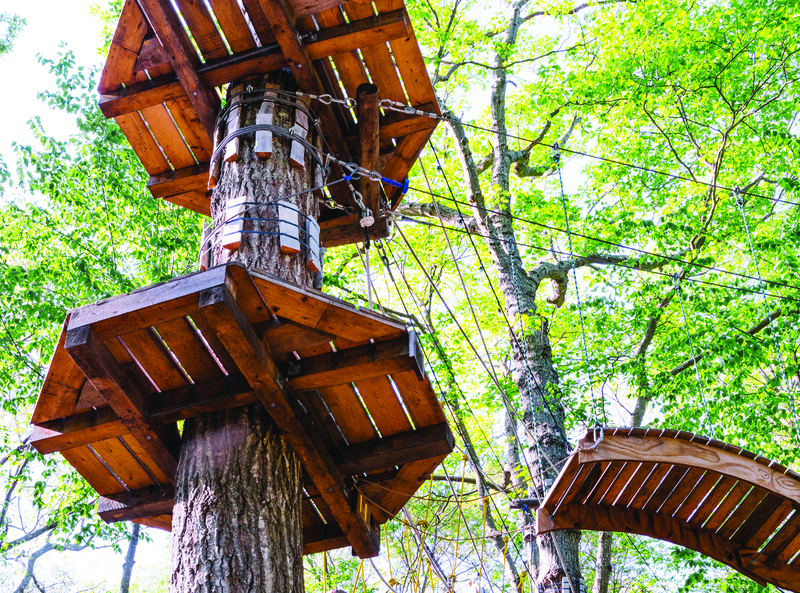 A zipline and treetop aerial mountain adventure system are being being built at West Mountain to attract summer people to the mountain. Workers at West Mountain are busy replacing a chairlift dating back to 1968 with a new “quad” chair that will service the face of the mountain. According to the mountain’s co-owner and onsite operator, Spencer Montgomery, crews are in the process of dismantling the old chair, which he said will take approximately two weeks to complete. Once that phase of the work is over, the new chairlift will be installed and operational in time for the upcoming 2018-2019 skiing and snowboarding season. The new chairlift will be located in closer proximity to the existing chairlift that services the summit. By re-positioning it, skiers and riders will all be able to feed into one set of corrals, have their tickets checked and decide which of the two lifts they want to take, he said. Staff at Cool Insurance Agency pose after received the Professional Business of the Year award at the 28th annual ARCC Business of the Year Award breakfast. 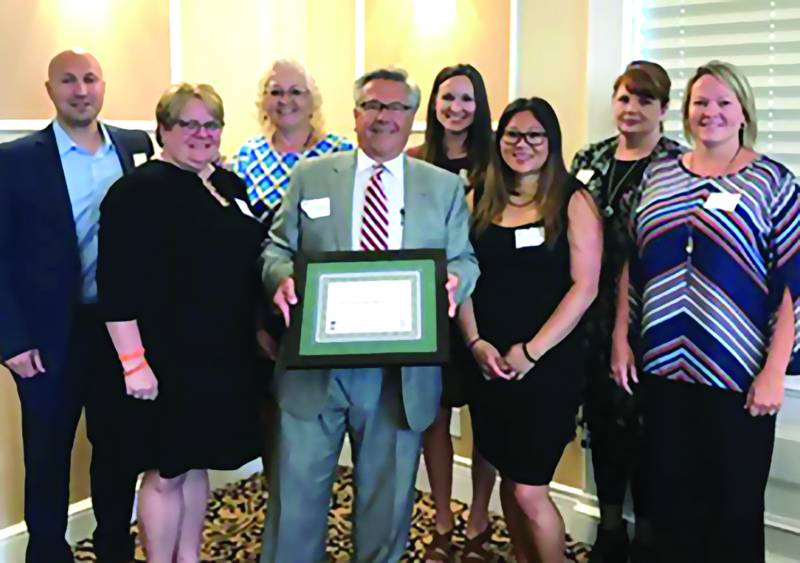 The Adirondack Regional Chamber of Commerce (ARCC) was joined by over 150 guests to honor the nominees and winners of the 28th annual ARCC Business of the Year Award breakfast on Thursday, June 7, at the Hiland Park Country Club in Queensbury. Professional Business of the Year: Cool Insuring Agency. Rookie Business of the Year: Sidekick Creative. Small Business of the Year: King Pin’s Alley Family Fun Center. Large Business of the Year: Irving Consumer Products. Nonprofit Business of the Year: The Moreau Community Center. 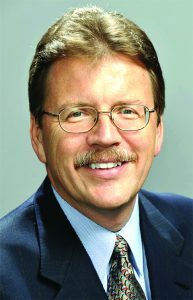 Dr. John E. Kelly III, senior vice president, cognitive solutions and IBM research. Dr. John E. Kelly III, senior vice president, cognitive solutions and IBM research will deliver the keynote address at the EDC Warren County annual luncheon on Monday, July 2, at Six Flags Great Escape Lodge in Queensbury. In addition to the keynote address, the program will also include an update on EDC initiatives and recognition of other activities in Warren County and the region. Registration and networking will be held from 11:30 a.m. to noon. The luncheon and program will run from noon to 1:30 p.m.
Thomas K. Flaherty of T.K Flaherty Associates in Queensbury, has received accreditation from the American Public Works Association (APWA) as a certified public infrastructure inspector (CPII) as well as certification at Level I in underground utilities construction, water and sewer lines by the National Institute for Certification in Engineering Technologies (NICET). NICET certification is based on successfully passing an exam demonstrating requisite knowledge, experience and work performance as set forth by the institute. NICET is a division of the national Society of Professional Engineers. 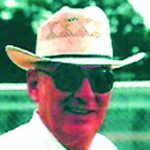 Flaherty has over 50 years of experience in the public utility construction field, including the development of the Queensbury Water System for the town of Queensbury when he served as the town water superintendent. He is the founder and President of T.K. Flaherty Associates with offices in Queensbury, and Bellwood, Ala. Flaherty is also an associate of Miller Engineering located in Manlius. 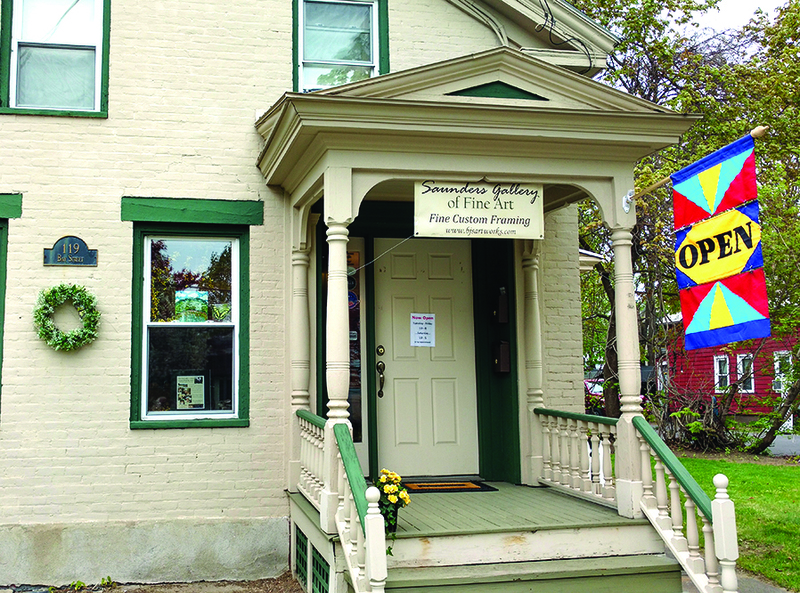 Saunders Gallery Of Fine Art Moves Out Of Shirt Factory Into New Location On Bay St.
Saunders Gallery of Fine Art @ bjsartworks has relocated to 119 Bay St. in Glens Falls, a more visible location, within walking distance to downtown. This decision comes after a two-year search to find a space that fit the vision of artist/owner Bev Saunders. She plans to focus on the quality picture framing services and original art and design services that have been the most successful for the business. Saunders operated out of the historic Shirt Factory for more than 10 years. “It is a bittersweet transition,” she said. “My commitment to the success of the Shirt Factory has been great. I have spent many hours over the years working on shared advertising for our retailers along with the annual Holiday Open House planning committees, to make these events and advertising successful and bring attention to the Shirt Factory. 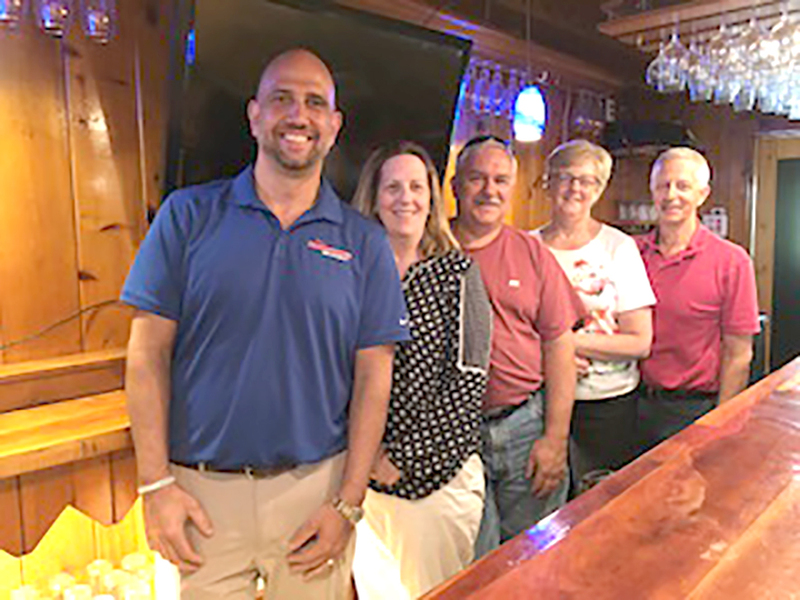 From left, Eric Ross, Kathy and Mike Putorti, and Cheryl and Francis Putorti, recently partnered with local investors to purchased the former Roma restaurant site in Whitehall. Five couples, longtime friends with ties to the Village of Whitehall, have purchased the former Roma Restaurant at 209 Broadway (Route 4) in the village and plan to “reopen the restaurant and give it back to the community,” said one of the new owners, Cheryl Putorti. The restaurant has had a succession of owners since opening as Roma in 1927 and has been vacant for more than two years. The property was foreclosed upon and sold at auction for $71,000. Putorti said she and her friends had been thinking about buying the restaurant for some time, but the asking price was too high. When they heard about the auction, they made up their minds to bid on it. The group was one of two bidders at the auction. To ensure regional access to the broadest array of healthcare services available, Glens Falls Hospital announced in December that they would be selling their renal dialysis service to DCI (Dialysis Clinic, Inc.), the nation’s leading nonprofit dialysis provider. The hospital officially transferred ownership of its outpatient renal dialysis program on Broad Street in Glens Falls to DCI on June 1, officials said. They do not expect that patients will experience any changes to their treatment schedule during this transition. The new phone number for DCI is 518-252-0008 and the fax number is 518-252-0016. 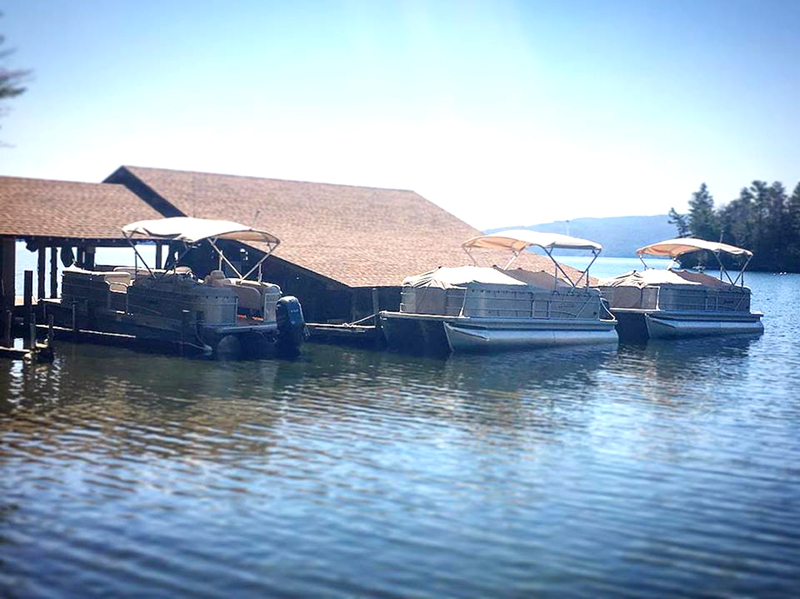 In its third year of operation, Freedom Boat Club of Lake George has added two new Sweetwater Premium tritoons and a new Four Winns HD200 deckboat to its fleet. Freedom Boat Club will soon begin its third season of operation on Lake George after ordering four new boats and substantially increasing its local membership base. As the concept of membership boating has grown and adoption of the sharing economy has spread with companies like Uber gaining in prevalence, the local Freedom Boat Club franchise has become an attractive option for people looking to enjoy boating. To help meet the demand, as membership grows, Freedom Boat Club has added to its fleet. Joining this year is a new Regal 23 OBX, two new Sweetwater Premium tritoons, and a new Four Winns HD200 deckboat. Bug-U Pest Control recently opened this new office at 162 Main St. in Hudson Falls. The expansion allows owner Brent Brewer to hire more staff to serve the growing comminity. Bug-U Pest Control has found a new home in downtown Hudson Falls. Owner Brent Brewer said it was time to move into an actual office space and out of his home, where he was previously located. 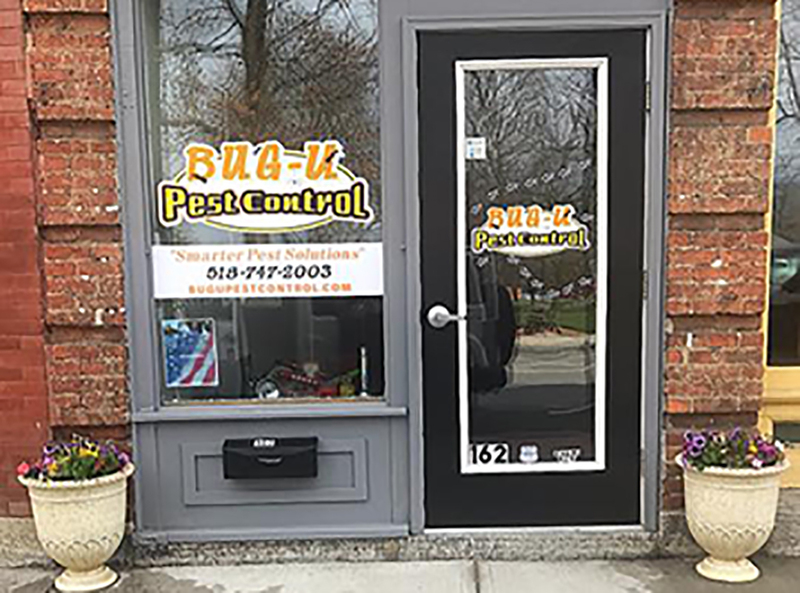 As owner and operator of the pest control business, serving both residential and commercial properties, opening the new location on 162 Main St. in Hudson Falls, is something Brewer had been contemplating for a while. “I am now centrally located, by the park. Hudson Falls is really an area that is growing, especially downtown. There are alot of good things going and the area is really undergoing quite a revitalization. Everyone has been so nice and so welcoming,” said Brewer.